Our four robotics teams (Marlbots, Curiosity, Cosmos, Asteria) traveled to the FTC Inter League Tournament at Monrovia High School on Saturday, February 9. Photos: At the Inter League Tournament! 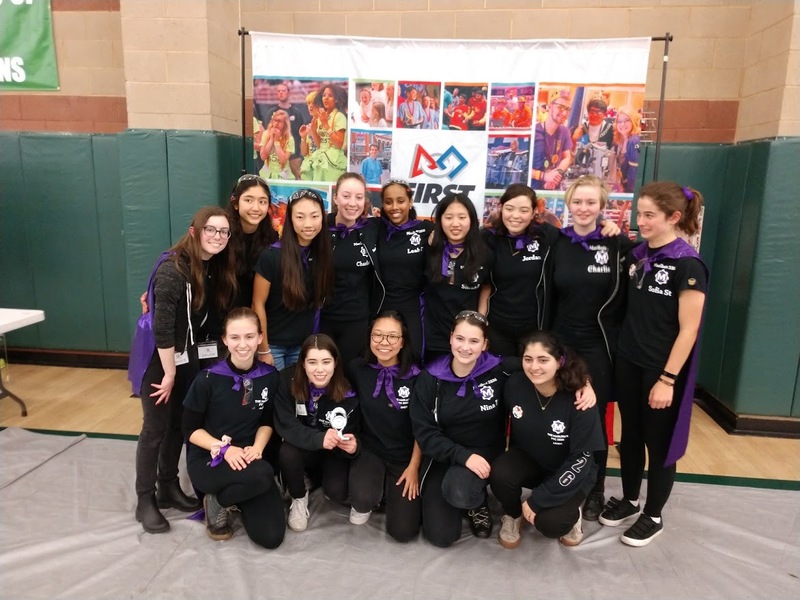 The Marlbots were the winning alliance captain and won the “Design” award in recognition of their overall design process and use of CAD to design and fabricate their robot. The Marlbots have advanced to the LA Regional Championship, which will be held on Saturday March 9 at Monrovia High School. Asteria ended qualifying with the FIFTH highest offensive power ranking, a metric that measures point scoring ability. They actually had the highest ranking of any Marlborough team in this metric. All four teams fought hard, kept a positive attitude, and did a fantastic job representing the school. We were extremely proud of the poise, passion, and support for one another that the Marlborough teams exhibited. Congratulations to the Marlborough robotics teams!